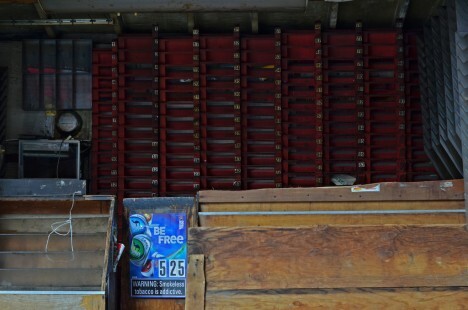 Once vital fixtures of the urban milieu, these inner city newsstands were abandoned by an information society evolving away from portable print media. 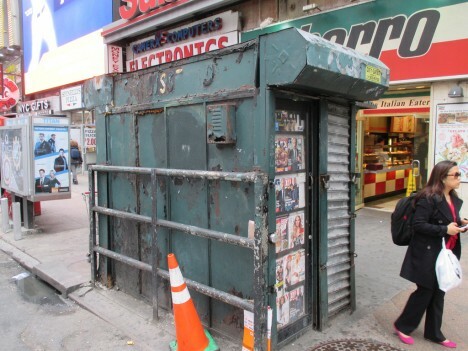 Time’s up for this classic green newsstand near the corner of 34th Street and 8th Avenue in New York City. 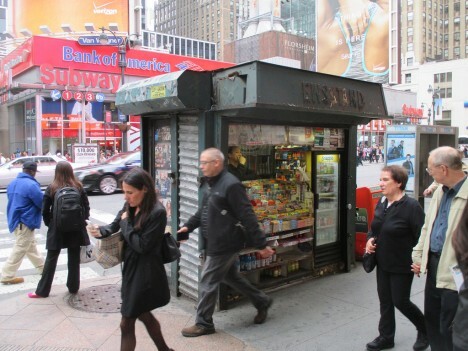 One of many near-identical twins still thrives nearby at 33rd and 7th, however – blame the cold equations of economics driven by the relentless advance of technology. 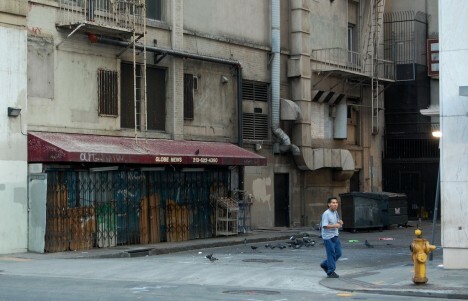 Flickr user Brecht Bug captured the forlorn state of this formerly ubiquitous inner city icon in early February of 2010. 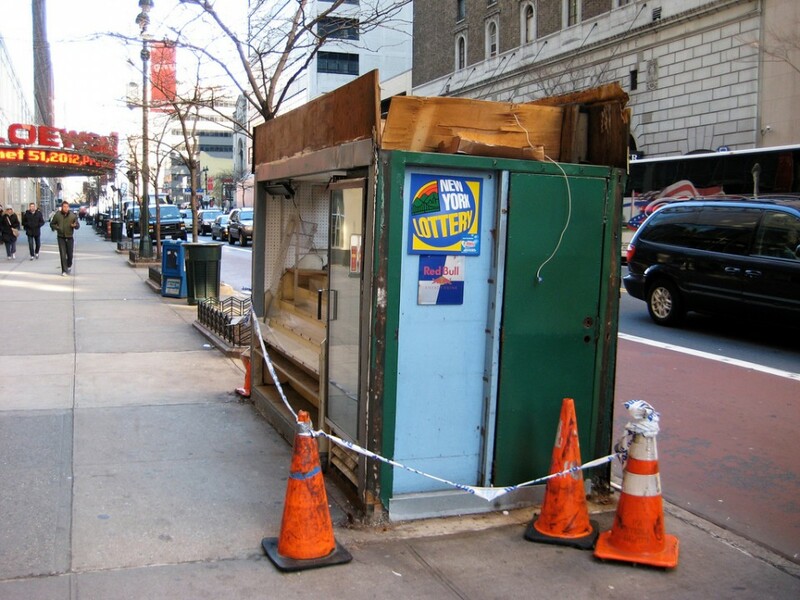 One wonders if its grungy sister stand at 33rd and 7th (above) is still serving commuters the Daily News five years further on? 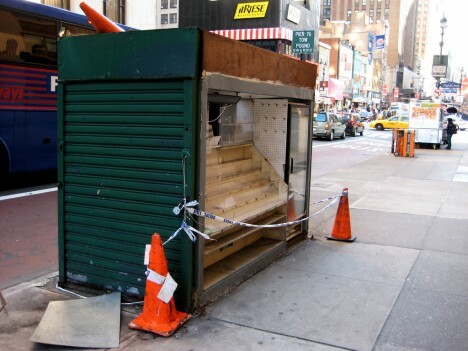 Our rickety old globe has spun many a time since Globe News, a Los Angeles storefront-style newsstand, locked & lowered its security grating for the last time. 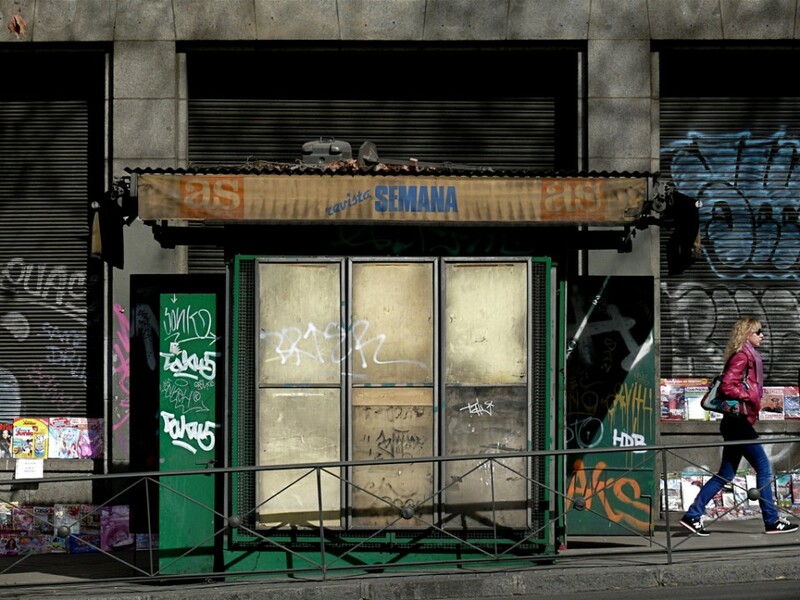 According to Flickr user vistavision (who snapped this intriguingly post-apocalyptic tableau), the stand closed for good sometime before July 16th of 2008. 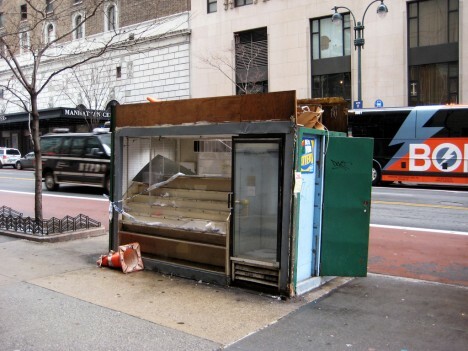 An abandoned newsstand in midtown Manhattan presents a uniformly dull and dreary face to a world that no longer cares. Flickr user DeShaun Craddock captured the somber scene in April of 2011 and it’s noteworthy the only bright spot is an ad for a disposable, addictive, carcinogenic product.